Research at the Jarillo-Herrero Group is currently focused on quantum transport and quantum optoelectronic measurements in low dimensional materials and their combined hybrids. Apart from stacking two-dimensional building blocks on top of each other, the properties of Van der Waals heterostructures can be also tuned by introducing a twist angle between different layers. 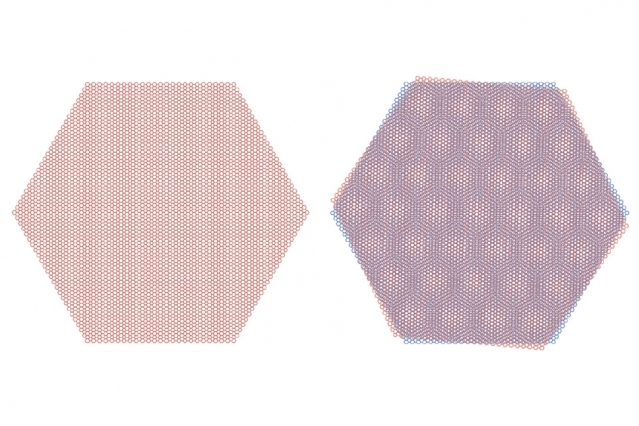 In particular, we create and study two-dimensional superlattices made of two graphene sheets rotated slightly, at a magic angle of 1.1 degrees. Interestingly, this system exhibits strongly correlated electronic properties. For a carrier density that corresponds to half-filling of each set of degenerate supperlatice bands, the material behaves as a Mott insulator, showing correlated insulating or non-conducting states as a result of their bands being flat near zero Fermi energy. Upon electrostatic doping of the material away from these states, in other words when adding small amounts of electrons to the graphene supperlattice, zero-resistance states are found, turning our system into a superconductor with a critical temperature of approximately 1.7K. Twisted bilayer graphene (TBG) is a precisely tunable, purely carbon-based, two dimensional superconductor which can be crucial for understanding strongly correlated phenomena such as the physics of high-critical-temperature superconductors or quantum spin liquids. The magnetic properties of a layered crystal can dramatically change when it is cleaved to the few-layer limit. One example is chromium triiodide (CrI3), a van der Waals magnetic insulator that displays out-of-plane ferromagnetic behavior in the monolayer. 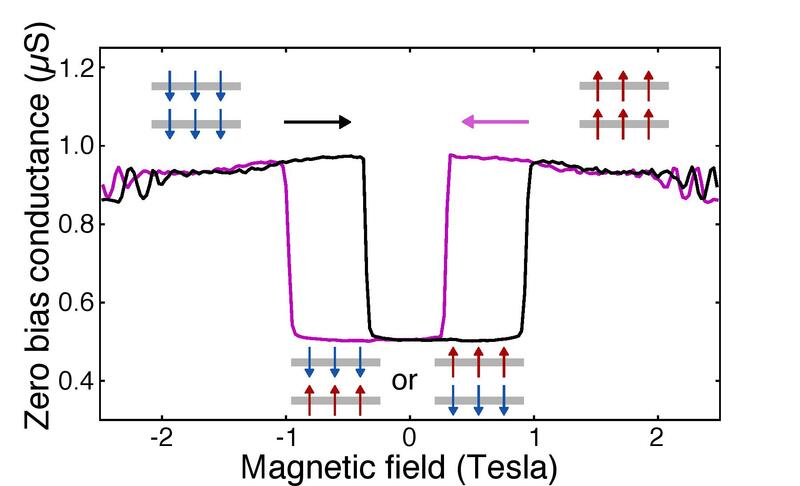 Surprisingly, it adopts an alternating ferromagnetic alignment in few-layer crystals, giving a layered antiferromagnetic ground state in the bilayer. We use both transport and optical methods to probe and manipulate these ultrathin magnets with potential applications in spintronics. By electrostatic doping, we can electrically control the magnetic ground state of these materials. Moreover, we can electrically probe the magnetic state using van der Waals magnetic tunnel junctions fabricated from few-layer CrI3 crystals. This arises from the sensitive dependence of quantum electron tunneling on the barrier’s magnetic state. Using these tools, we can explore diverse magnetic ground states including multiferroics, quantum spin liquids, and frustrated magnetism in layered metal halides. Low dimensional materials (LDMs), such as quantum dots, graphene, nanotubes, in which one or more spatial dimensions are strongly suppressed to restrict the quantum mechanical wave function of electrons inside, exhibit diverse and intriguing physical phenomena that are very different from their bulk counterparts. The quantum size effect alters the electronic band structure vastly, leading to novel light-matter interactions and allowing for dramatic electrical control and efficient detection of light. Moreover, recent progress in convenient assembly of LDMs with ultraclean interfaces, boost the emerging field in condensed matter physics focusing on versatile heterostructures with distinct electronic and optoelectronic properties from their original constituents. This has important implications both for the fundamental physics of electrons in low dimensional systems as well as for potential applications in photodetection and valleytronics.